It was hard growing up a multi talented and restless young person in Nigeria. It still is. Especially when there was no guidance, or resources to navigate a complicated life. I was different from everybody around. Everyone was telling me how I “can and should only do one thing” but I knew I couldn’t. I knew I didn’t want to be stuck on “one thing”. Nobody understood me, I stopped explaining at some point. I was tired. But one day, a voice came on on a new radio station, Top Radio 90.9. It was beautiful. And had a message that said I could be all that I wanted to be. And do all. This voice did not just say it, it embodied the message. That voice was Tosyn Bucknor’s. Radio, television, acting, writing, MCing, advocacy, she did it all. And excelled in all with awards as evidence. I never knew her personally or even met her, facts I regret now, but I felt connected in inexplicable ways. Those “can do” messages she put out over the years subtly affected the course of my life, steered it in the right direction and gave me much needed confidence. For me, that was a big deal at the time. I’m not sure why her message resonated with me to that extent. Maybe because it was the first of its kind for me. Maybe it came at a critical point in my life. I’m not sure. But it did me good. I don’t do ‘role models. 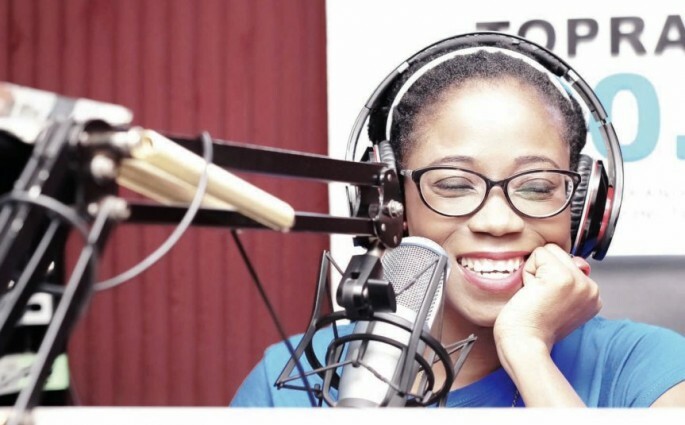 But Tosyn Bucknor was one of my role models. Today I got a shocker; sickle cell anaemia has caused her to transit this sinful plane. Radio lost a voice but heaven gained an angel. She lived a fuller life than most people would ever, even if they had two lifetimes. You impacted my life positively. Rest in power, you’ll always be remembered.